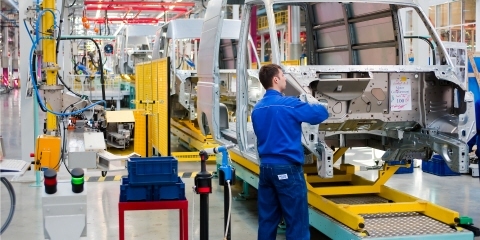 Technology continues to narrow the margins between winning and losing. Eye tracking allows coaches and trainers to see what their players see. As the world’s attention turns to Russia for the 2018 World Cup, many will be marveling at the skills of players. To reach such an elite level takes innate ability, and many, many hours of training. In the global juggernaut that is professional soccer, each entity looks for that little bit more, that competitive edge which can mean the difference between dizzying success and adoration, and crippling defeat. 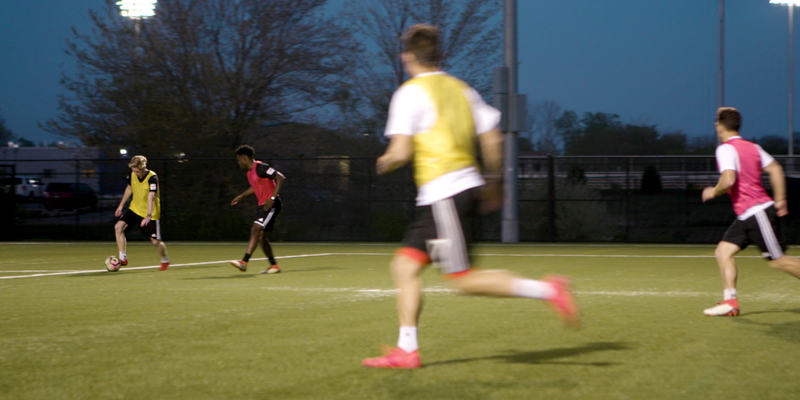 In the words of the New York Red Bulls II head coach John Wolyniec, “At the highest level of soccer all you’re looking for is a small advantage, any little advantage that you can gain could pay off in big dividends”. 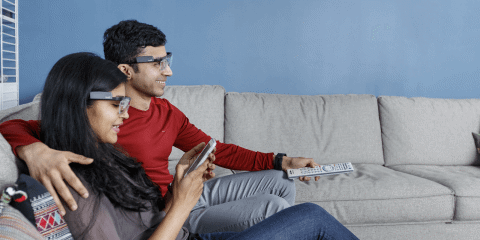 The American United Soccer League team recently took part in an eye tracking experiment looking at how players focus and divide their attention during crucial parts of play. Function a YouTube channel which combines science and technology, used wearable eye tracker to record the gaze of 5 players executing a range of skills. Patrick Adelman with Fractal Media: "Soccer is an incredibly dynamic sport, and studying professionals gives us a good way to understand different aspects of visual processing". Eye tracking allows coaches and trainers to literally see things from the perspective of players. It reveals subconscious and instinctive attention patterns, which can be used to adapt or ﬁne-tune certain skills. It also reveals behaviors associated with success, allowing this knowledge to be shared and replicated. According to Mike Bartels, Senior Research Director at Tobii Pro Insight. "Over the past decade, new technologies have turned athletic performance and training into a science. From heartbeat and brainwaves to foot speed and throwing accuracy, we can now precisely measure just about any physiological or behavioral element of sport." 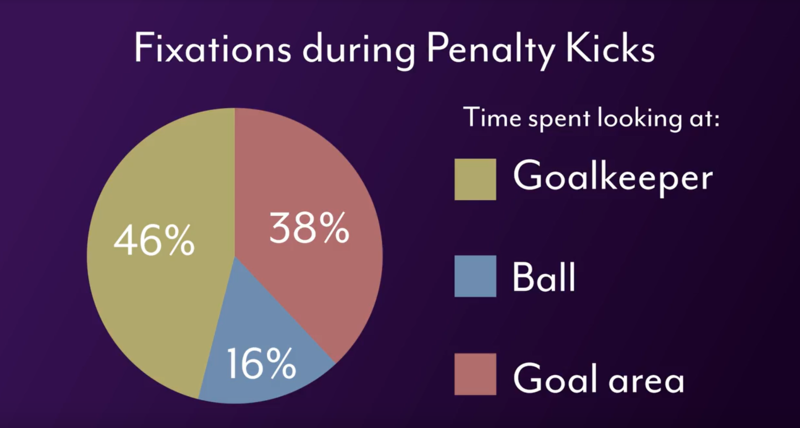 The pilot study revealed that during a penalty kick players spent 45% of their time looking at the goalkeeper, 37% focused on the goal area, and just 16% on the ball. 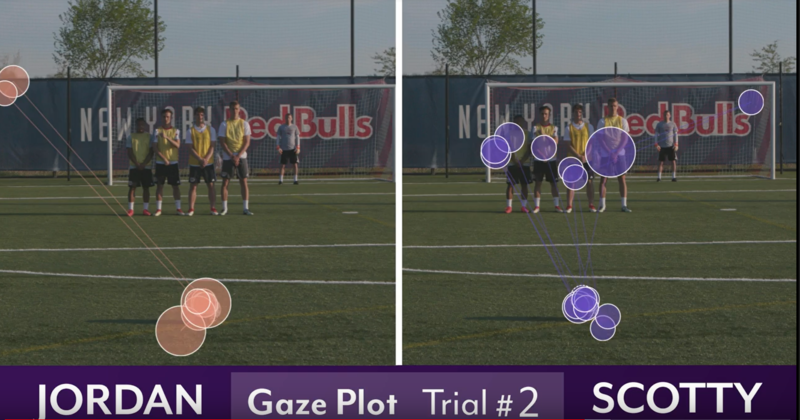 During set pieces, two of the players studied showed markedly different gaze patterns. "I think people underestimate how often their eyes change...it certainly would be interesting to use the technology on different players and track what are some commonalities with players that have more success," says Coach Wolyniec. Many other sports are realizing the beneﬁts of utilizing eye tracking data to ﬁne-tune performance. 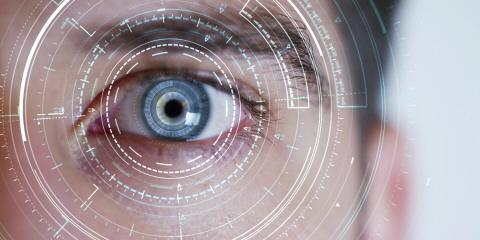 Swedish ice hockey team HV71 has incorporated eye tracking into its training programs. "After our feedback session we could actually ﬁnd proof for a lot of these subconscious behaviors going on and that helps us a lot to have the same picture of what we're talking about, what we want to develop, even on the smallest, smallest detail," says Goalie Coach William Rahm. This method has also been employed extensively by race car outﬁts looking to identify and improve techniques, as well as surfers, and tennis players searching for a deeper understanding of sports performance. To learn more about how eye tracking is changing the landscape of professional sports training visit Sports Performance and Research.